Back in March I shared my decor ideas for the Grand Rapids Ballet‘s Spring Gala, An Evening in Verona, with a mood board. I had been asked to co-chair this event last year and I have felt so fortunate to be apart of it! After months and months of planning, just two weekends ago Mr. 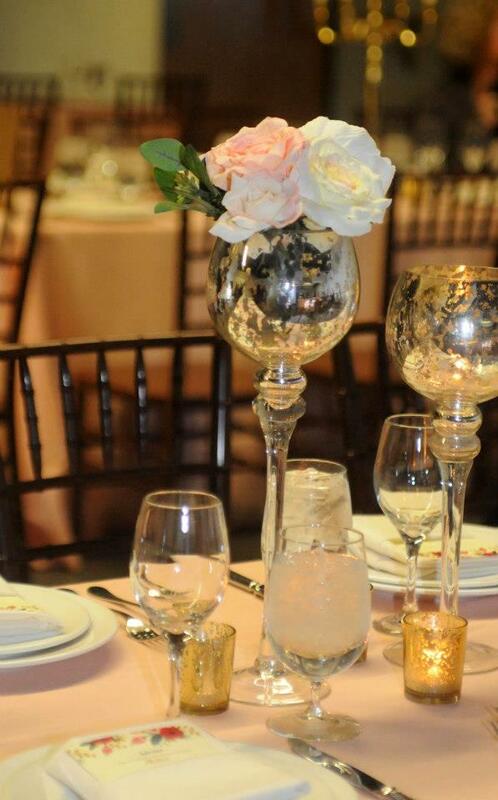 Lemon and I attended the gala and I was thrilled with how everything turned out! Looking back on the mood board, things stayed pretty true to the plan. We did have to drop the boxwood runners to keep room for family style serving, so I’m definitely keeping them up my sleeve for a future event! 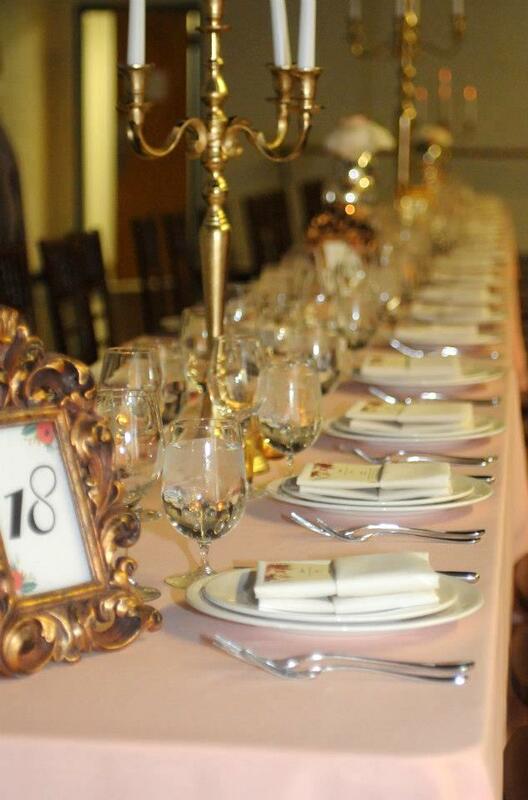 Colors stayed in the peach, pale pink and gold family and candelabras were everywhere. 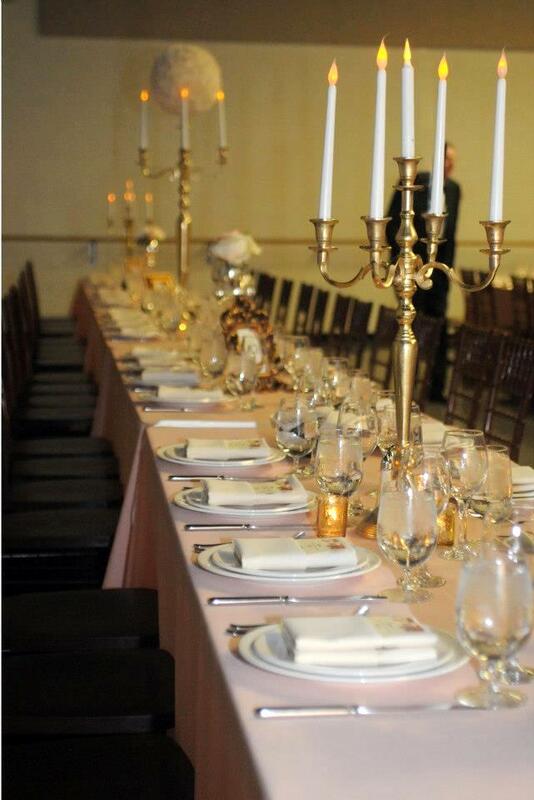 I really loved the long tables for a change at a gala event – most everyone does round tables for these events and it was interesting to mix it up. I must admit there were some challenges but I definitely would try it again! 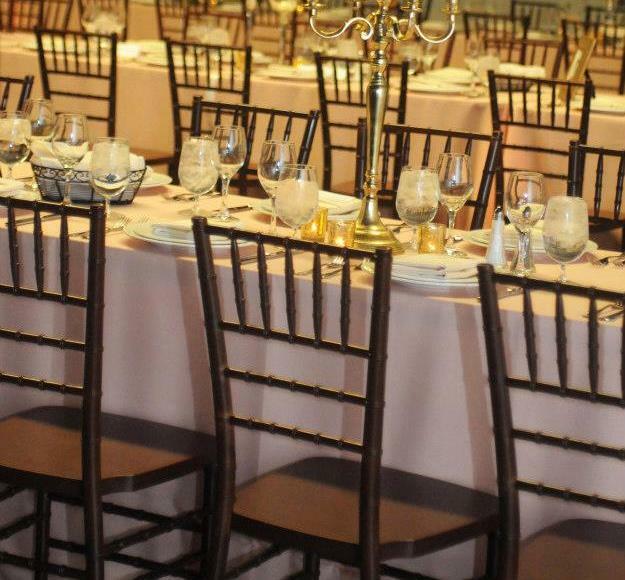 We were able to rent chiavari chairs which I think made a huge difference in the room’s overall feel. 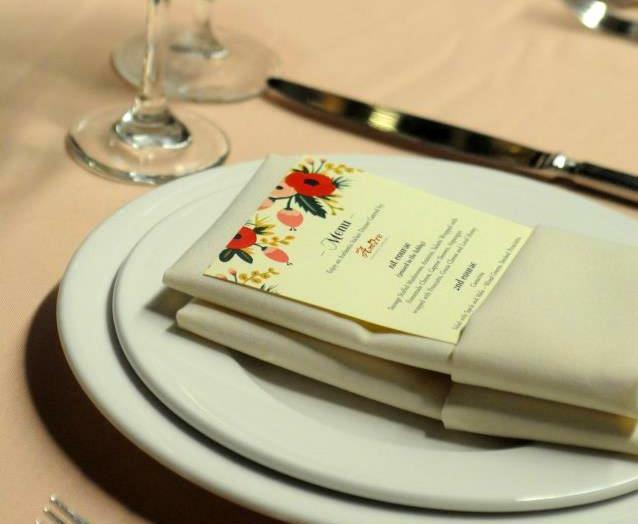 Beautiful custom designed menus from a staff member at Grand Rapids Ballet! So lucky to have graphic design talent on hand! Such a wonderful night for a great cause! This entry was posted in Event Portfolio, Party Inspiration and tagged gold, grown up party, peach, pink, romeo & juliet, verona. Bookmark the permalink.